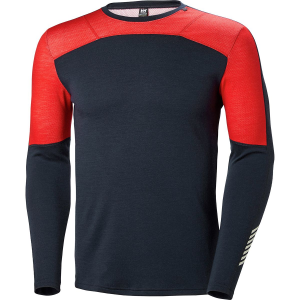 Note: This is a companion review along with the Helly Hansen LIFA Merino Pant. The wool exterior outer layer pictured above provides extra warmth and helps wick the moisture away. 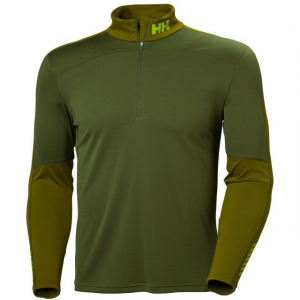 The HH LIFA Merino 1/2 Zip top has this two-layer construction with flat lock seams. 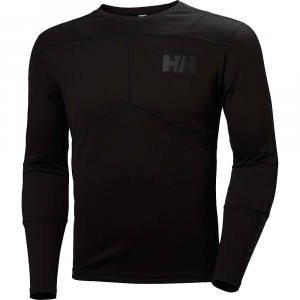 HH states that it is their warmest baselayer designed for any activity in cold weather. 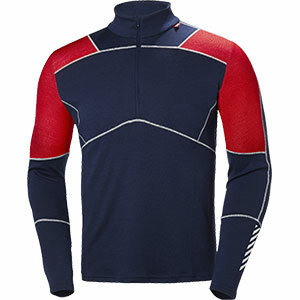 This model has a half zip to allow for additional venting on those high cardio days climbing hills. 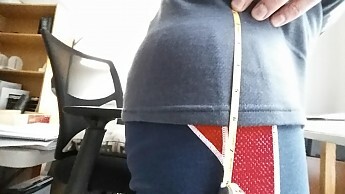 A quick description of the tester—my measurements for comparing sizes (I ordered a medium top) are chest 38, waist 33, arm 23, torso 22 (all in inches). I am a heat generator and sweat just thinking about summer. I used to wear shorts down to the 30s when moving (in sunny and not too breezy weather) and add pants and fleece when I stop. 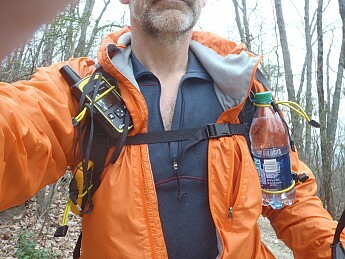 Now I’ll wear a wind shirt and base layer top with light pants (or rain pants) when its less than mid-40s and add a base layer on bottom below freezing. My usual fair weather system system is a t-shirt, fleece, and/or wind shirt in the 40s and 50s. 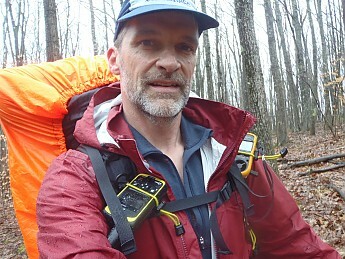 With precipitation the wind shirt is switched for a rain jacket. 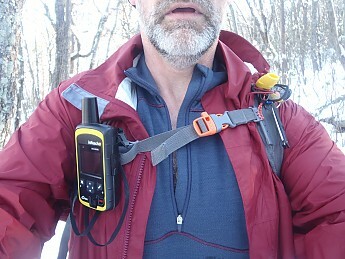 Below 40 in adverse conditions, I usually add a base layer (previously Capilene). Below freezing I’ll add a mid layer like a fleece and maybe layer the bottoms. I don’t spend much time in less than 0-10 degrees F due to my location in the Southeastern U.S. 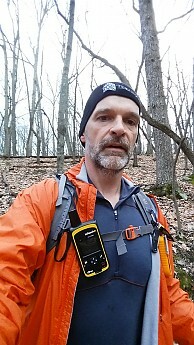 When Trailspace contacted me to test the HH base layers, and asked what size would be best, I had a difficult time deciding as I know some companies tend toward an athletic fit tighter than others. I decided to go with Helly Hansen’s size chart and risk it being too tight as this would test their sizing chart for others. Therefore I ordered a medium as my measurements above fit right into that category. 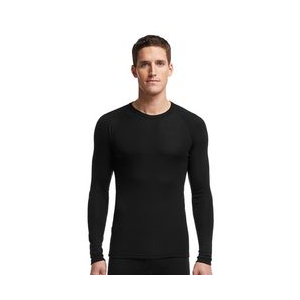 The base layer is a snug “athletic” fit and is true to the size chart. It worked well for me especially as it fits well under other layers, but may not work for everyone. I have dropped about 15 pounds over the last year or so, and I doubt this would have fit me as well back then. If you tend to need some room for middle aged spread, I would go one size up. The hip-length top overlaps with the bottoms by about six inches—just right for my torso size of 22 inches. I found it hit that balance of long enough not to untuck when bending and not having so much material that it bunched up. 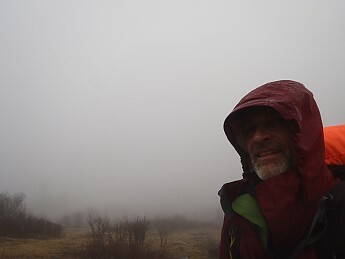 The arm sleeve length was just about perfect for me as well (again my arm length is around 23 from shoulder point to wrist)—just long enough to keep me warm but not stick out past my outer shell in bad weather and soak up some rain. There was no irritation around the shoulder straps either. 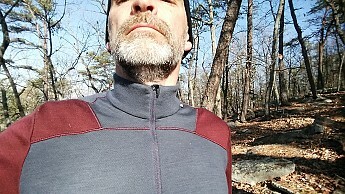 I found myself wearing the top base layer a lot around the house this winter and for quick jaunts outside where I didn’t want to throw on a jacket. 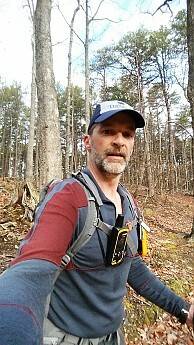 The zipper has a nice backing that does not allow chest hair to get caught in it, which I appreciate as I constantly zip and unzip along the trail to adjust to my workout and vent. The collar is comfortable when zipped all the way up, and it keeps the neck warm. 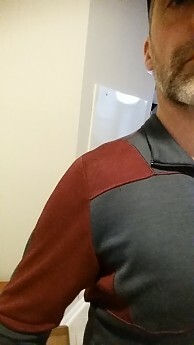 I found the collar comfortable whether unzipped or full zipped—just the right length not to interfere with my neck or short beard. Those furrier than me will have to test it themselves as I didn't have time or inclination to grow mine out. 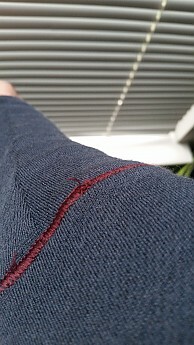 The collar does tend to turn up on one side but this happens with some of my shirts and fleeces too. It is probably due to poor laundry/folding skills. The top takes twisting well and “reseats” itself just fine. It did not come untucked during my excursions, but I could see someone with a longer torso needing just a bit more length. I would guess the length of my medium top would be good to about a 24-inch torso at best. When reaching up the top also stayed tucked in for me and didn’t seem extremely tight. Again, your mileage may vary as fit is very personal. 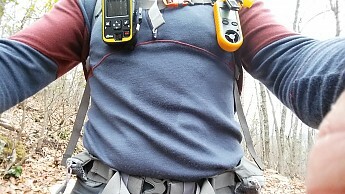 The HH base layers breathe really well. 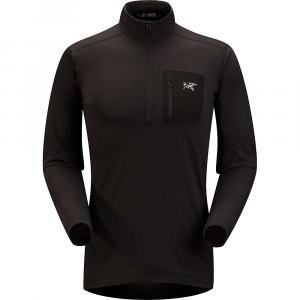 The downside to this is you can feel a strong breeze coming through, but they dry out fast compared to pure Merino wool and work well with either an insulated or non-insulated wind shirt on top. 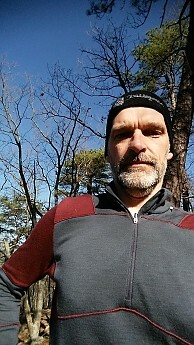 I regularly wore the HH LIFA Merino top with a windshirt or rain jacket in temperatures from around 10 to 50 degrees F. Above that I would switch to a cooler layer. The two-in-one layer system seemed to work really well. I can generate sweat with a minimal amount of exertion well below freezing. In fact I am sweating right now just thinking about warmer weather. 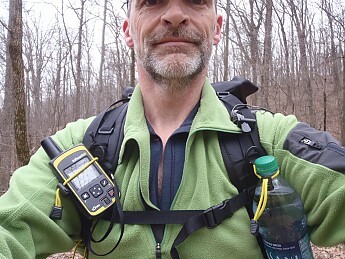 Note that the different colored panels are cosmetic, and do not correspond to more breathable areas, that I am aware of or could tell during testing. 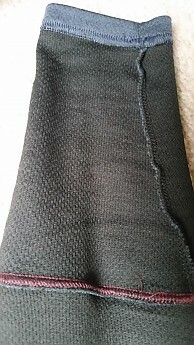 Sweat is wicked away from the body quickly and moved to the outer Merino layer (difficult to see but the center of the top is sweaty). It quickly dried. I never timed it in the field but on a recent day hike when the last hour or two got up to around 50 I was really moving. The top was soaked. I got in the car, turned mild air on, and it was dry within 15 minutes. 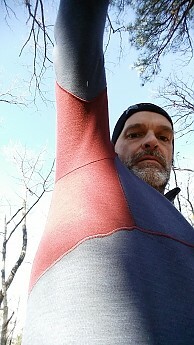 The warmth for weight is better than my older Capilene base layers. I never got cold (with appropriate layering) and being damp did not make it colder. 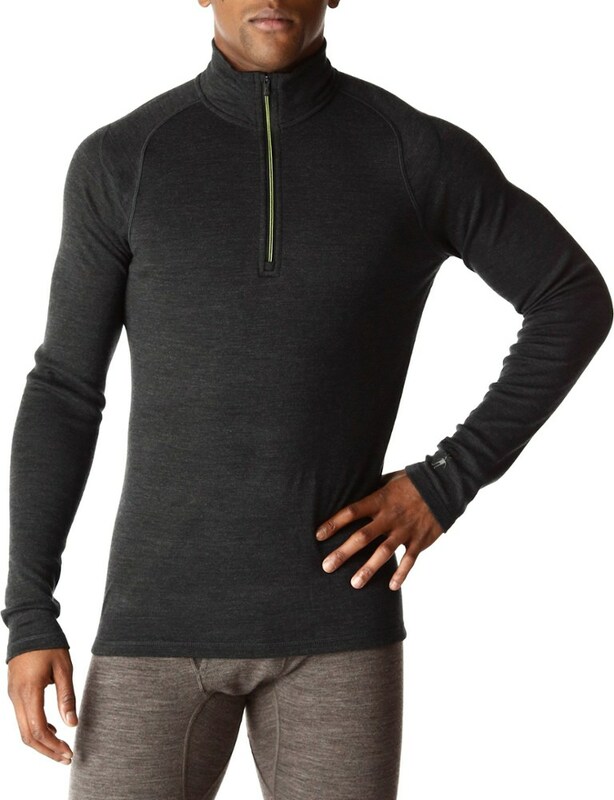 The half zip top is my favorite style of base layer or fleece. It quickly allows me to vent heat without dealing with a full length zipper—if I have to open something all the way it's time to change anyway. 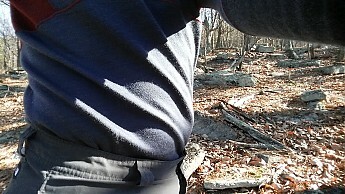 The HH top performed well in this area and I felt immediate “relief” when I unzipped. 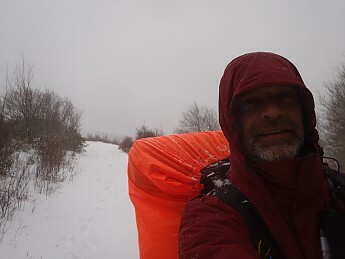 My layering approach is difficult to describe as it is not one setup of three layers but a combination of different items depending on the expected weather (worst case), season, terrain, etc. 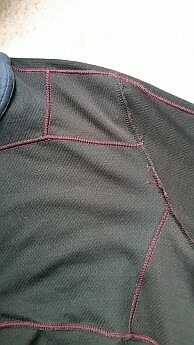 I found the HH base layers fit easily into my system due to the athletic cut under other layers. 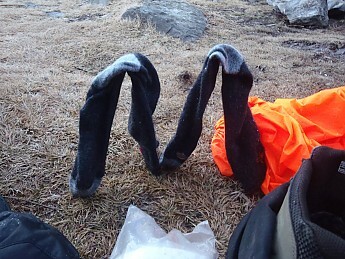 I shift a lot when temps change so here are some examples from my notes of trips in a variety of conditions along with which base layers (top, bottom, or both) and other layers were worn. 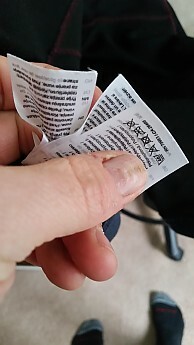 Make sure the collar is settled when drying or it has a tendency to turn up (as mentioned above that is a common problem for me so I think it is my own fault as mentioned earlier). 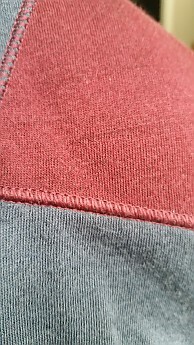 I found the HH LIFA Merino base layers to be well constructed and so far have noticed no wear in them. All the photos above are from the end of my testing, not new out of the box. I feel compelled to add that there is no hood and no thumb loops on the top. 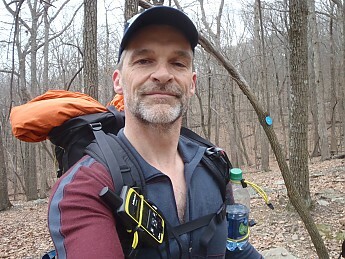 I don’t find that a problem, as I have never liked either on my base layers, but that is personal preference and therefore mentioned for completeness. 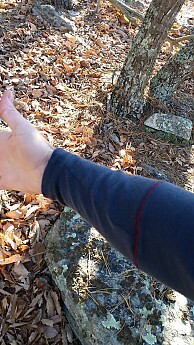 The sleeves did not ride up during strenuous activity. Great reviews Phil (both this and the accompanying bottoms)! Great reviews, Phil! Thanks for testing these out. 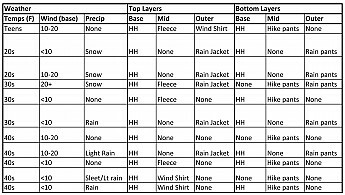 I am impressed by your layering chart! While I'm pretty specific about layers based on activity, weather, materials, etc., actually distilling that info down for others to understand could be tough.